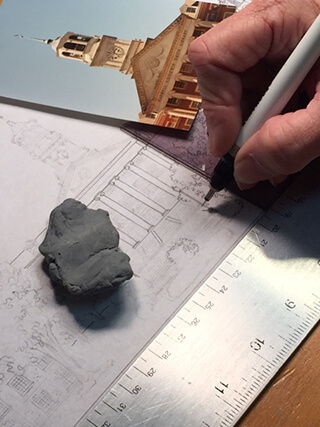 I have found a great way to use my love of old buildings, drawing, and sculpture to create my Sculptured Watercolors. There are so many beautiful historic houses, buildings, cities, and universities that I will never run out of subject matter to draw. 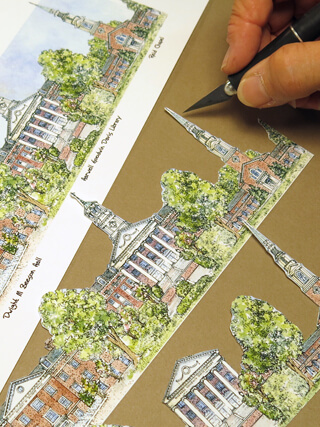 By combining a drawing with a dimensional paper relief, the historic buildings, cities and universities come life. The first task at hand is to visit the places I want to draw. I create a pen and ink drawing from photos that I take on site. Watercolor is then added to the drawing and it is now ready to print. 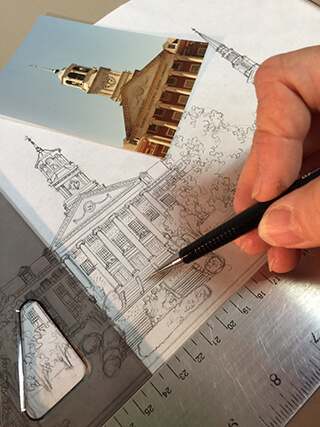 An x-acto knife is used to hand cut thee layers of my prints to create the unique three-dimensional look of my work. 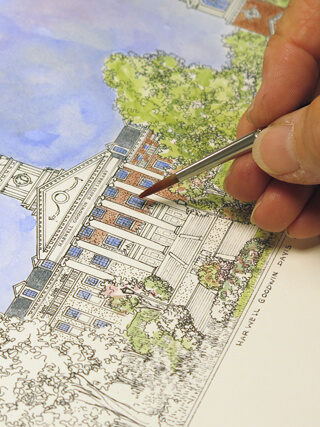 The technique allows me to portray the buildings as they actually exist. Porches stand away from the buildings; steeples and turrets bend to their actual shapes. The buildings come alive. I hope you enjoy my work as much as I enjoy making it for you.